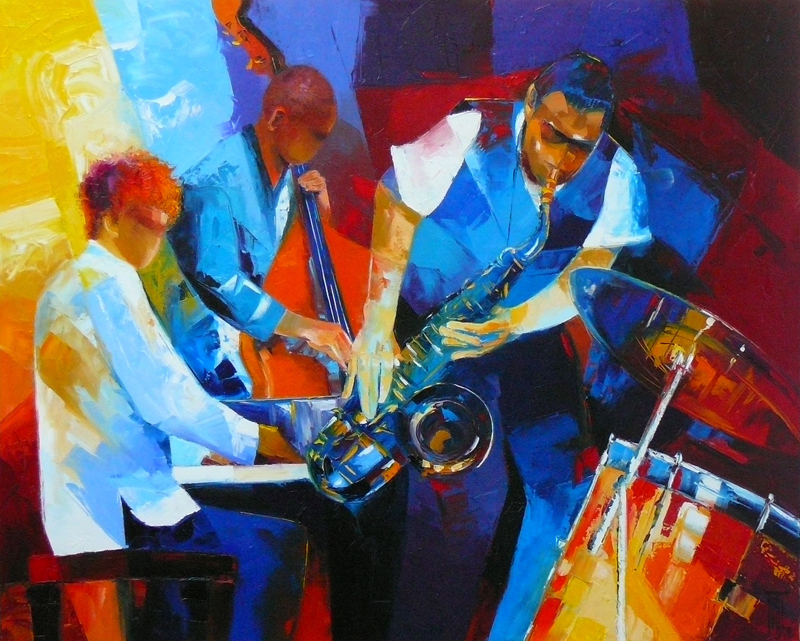 This canvas « Jazz Fusion » is a painting signed by the artist Pierrick TUAL. 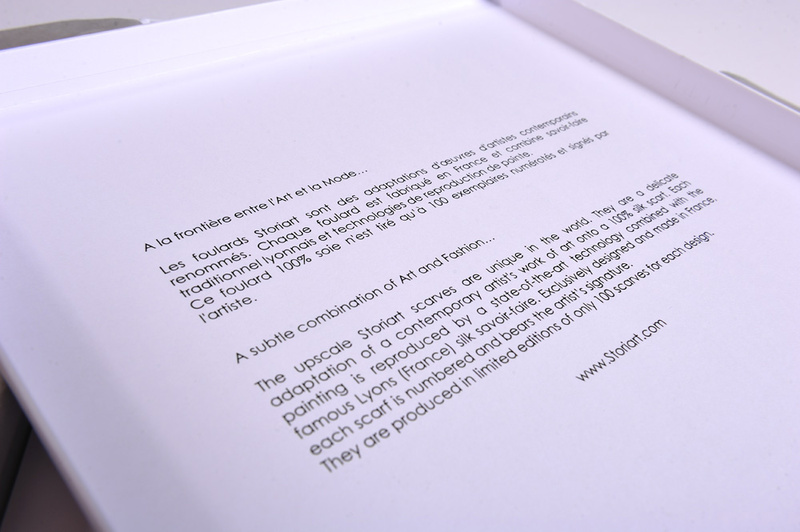 This is the first square of the artist to join Storiart’s collections. 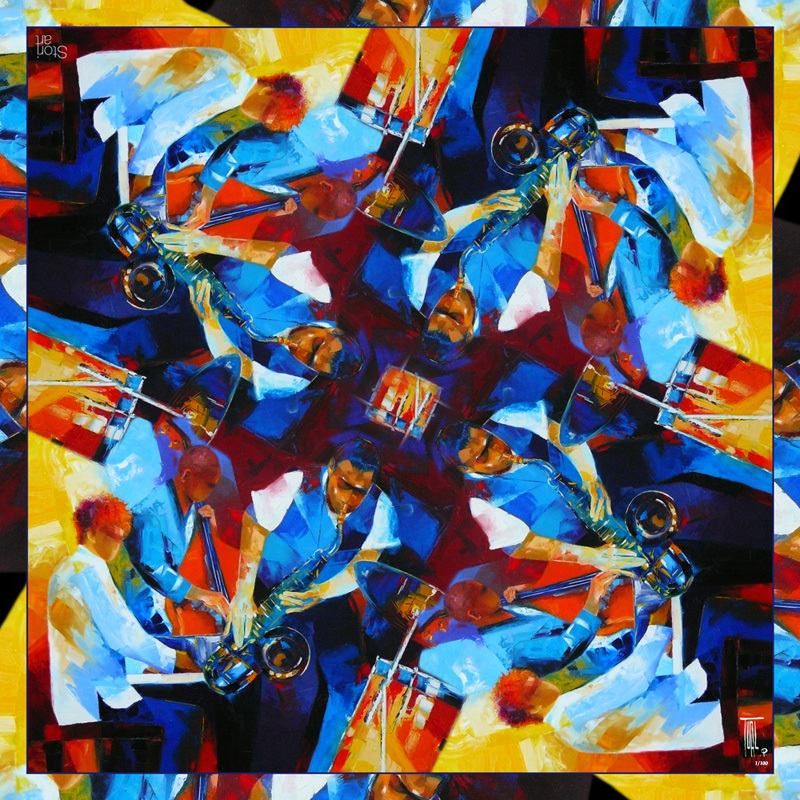 The canvas has been adapted to create colour harmonies onto a classical 90*90cm square scarf. 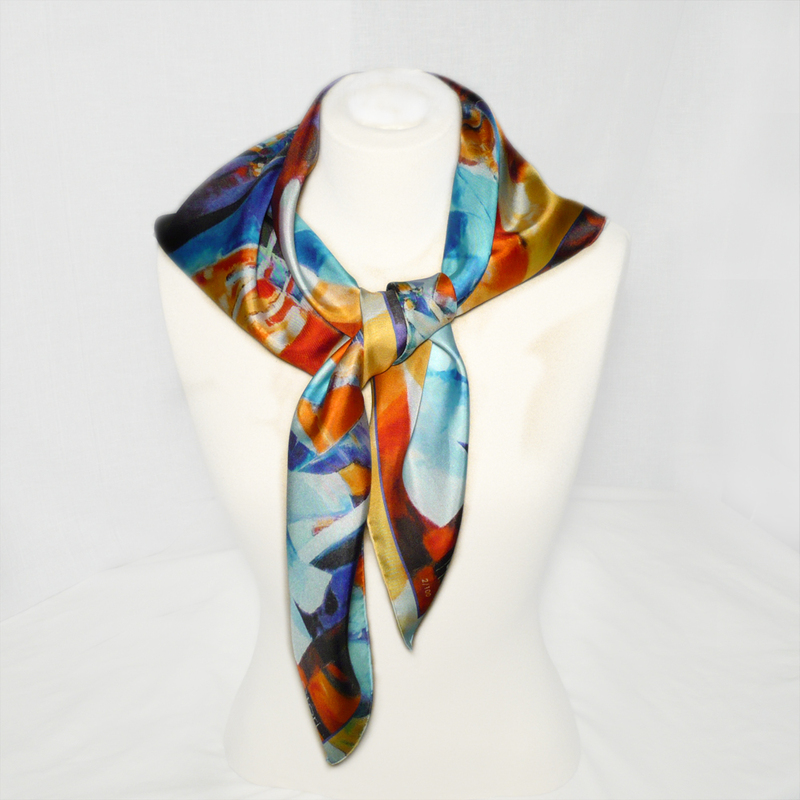 Printed onto silk twill square, this scarf is made in France. 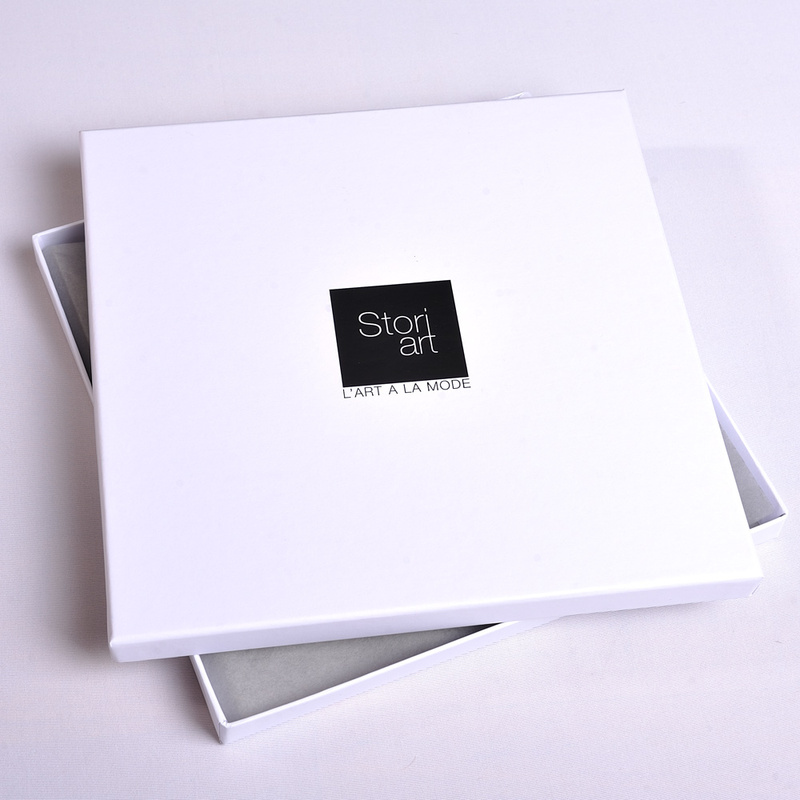 It combines traditional savoir-faire and state-of-the-art technologies. 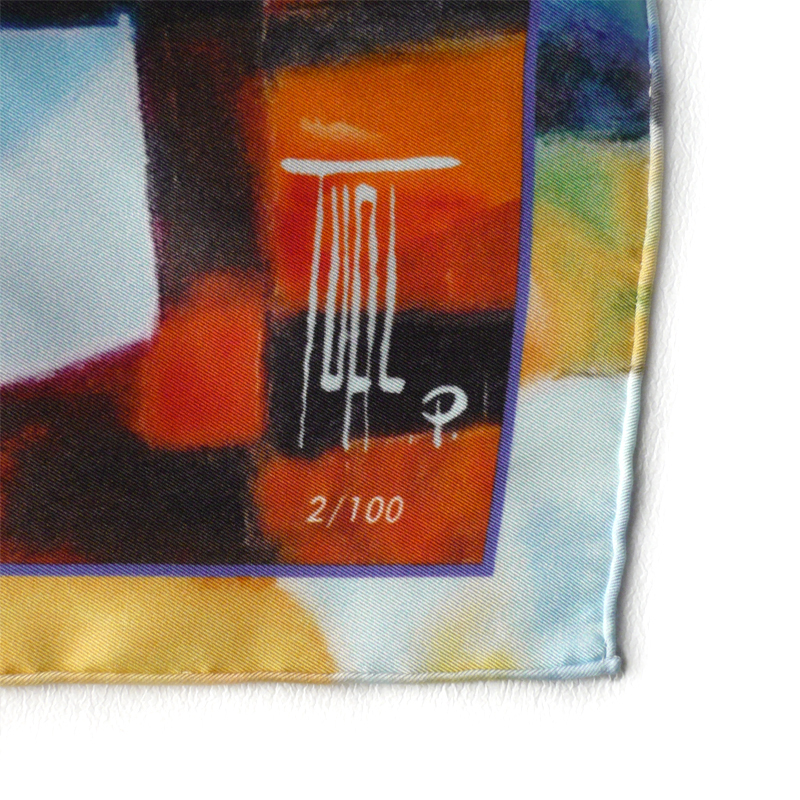 Each square is numbered from 1 to 100 and signed by Pierrick TUAL.